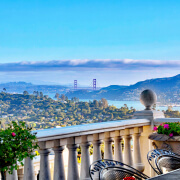 As the top ranked Marin real estate agent and licensed Realtor® with Golden Gate Sotheby’s International Realty, I deliver outstanding results for my clients in the Bay Area luxury homes market. 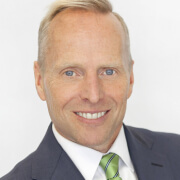 Whether you are interested in buying, selling, or just learning more about the market, I am always happy to help. I pride myself in providing luxury service at all price points in Marin County and the greater San Francisco Bay Area. Please take a moment to look around my website, which features the #1 Marin Real Estate Blog, monthly Marin County Real Estate Market Reports, a complete list of Marin Open Houses each weekend, and a robust Marin homes search tool. This site also features pages to help you learn more about Marin’s vibrant cities and towns, as well as its wonderful schools. Marin Pocket Listings - What Are They? Pocket listings are homes that are for sale but are not on the Multiple Listing Service (MLS) so therefore do not show up in searches on websites such as this one. Your next question might be - why would a home seller in Marin not want to expose their property to the most buyers possible? https://i0.wp.com/www.thomashenthorne.com/wp-content/uploads/2016/02/Whisper1.jpg?fit=371%2C336&ssl=1 336 371 Thomas Henthorne https://www.thomashenthorne.com/wp-content/uploads/2016/03/logo-1.png Thomas Henthorne2019-04-18 09:37:452019-04-18 15:32:36Marin Pocket Listings - What Are They? The March numbers are in and compared to a year ago at the same time, overall inventories (number of homes on the Marin real estate market) are about 39% higher while the median price of homes sold last month was down 2.6%. What's the impact of upcoming IPO's as well as the recent declining interest rates? Read more here. 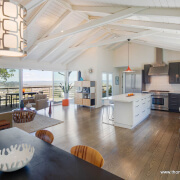 Wondering what you need to do to your home now that the winter rains are ending in Marin County and spring has arrived? I decided to compile this spring home maintenance to-do list for Marin County. While I have begun to tackle some of the eleven items on this list, I must confess that the busy real estate season has delayed me a bit as I tackle this list. Spring is one of the most beautiful seasons in Marin and I hope you are enjoying it! February saw Marin County home prices resume their upward climb, with median home prices up about 14% versus the prior year. It looks like it will be a very busy spring season with three of my listings going into escrow in the first 10 days of March. Read my complete March Marin County Real Estate Market Report here, and call me at 415-847-5584 if you would like to discuss. The Napa Valley Marathon and the Fairfax Brewfest are two highlights from my list of things to do in the Bay Area in March. Check it out here! The Marin County real estate market has definitely entered a new phase -- reversing the multi-year-long trend of low inventories and steadily increasing prices. Home inventories in January increased by 56% vs. the same time in the prior year, and the median sold price was down close to 14%. We are moving to a more balanced market between buyers and sellers. While we still see some competitive offer situations, it is likely buyers will face less of those in 2019 given the increase in home inventories we are expecting. Read more here.